Make yourself at home in one of the 350 air-conditioned rooms featuring minibars. Complimentary wireless Internet access keeps you connected, and satellite programming is available for your entertainment. Private bathrooms with showers feature hair dryers and slippers. Conveniences include phones, as well as safes and desks. Be sure to enjoy recreational amenities including a nightclub and karaoke. This hotel also features complimentary wireless Internet access, a hair salon, and a television in a common area. 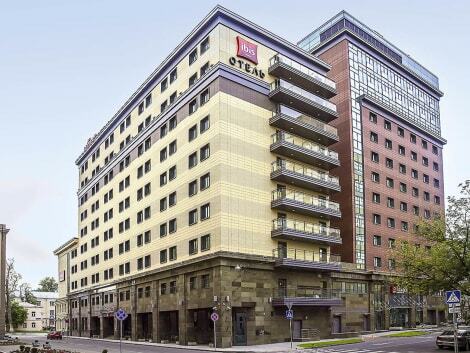 Ibis hotel - the best way to stay in Moscow at the lowest prices. 2 minutes from Paveletskaya metro station and the AeroExpress to Domodedovo, the ibis Moscow Centre Bakhrushina hotel has 190 rooms, combining high international standards with affordable prices. 5 minutes by metro to Red Square, the Kremlin, the business district and the Expocentre. The ibis hotel offers free WIFI, restaurant, bar, car park and all of the services of the Combo Bakhrushina complex, including the Mercure and Adagio. This charming hotel is set in Moscow. This property offers a total of 32 bedrooms. Both wired and wireless connections are available on-site. Travellers can enjoy the convenience of 24-hour reception. Designed with younger guests' needs in mind, this kids-friendly property features some bedrooms providing cots on request for children. Pets are not permitted on the premises. There is a car park at Fligel. Some services of Fligel may be payable. Featured amenities include a 24-hour front desk and a water dispenser. Free self parking is available onsite. With a stay at Hotel Reakomp in Moscow (Moscow City Centre), you'll be within a 15-minute drive of Exhibition of Achievements of National Economy and Prospekt Mira. 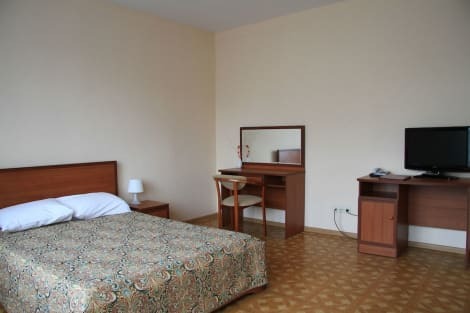 This hotel is 2.9 mi (4.7 km) from Bolshoi Theatre and 3.1 mi (4.9 km) from Red Square.